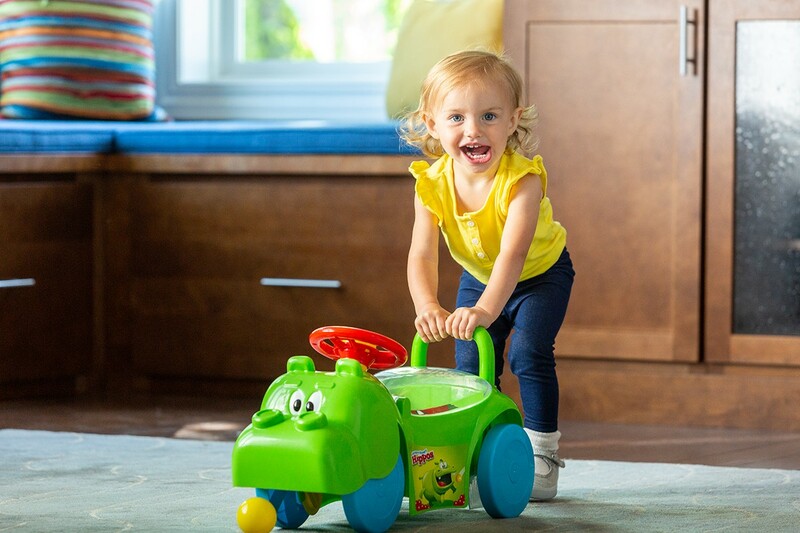 Bring the fun of the classic game right to the driveway and playroom with the Hasbro Hungry Hungry Hippos Activity ride-on toy from Kid Trax! 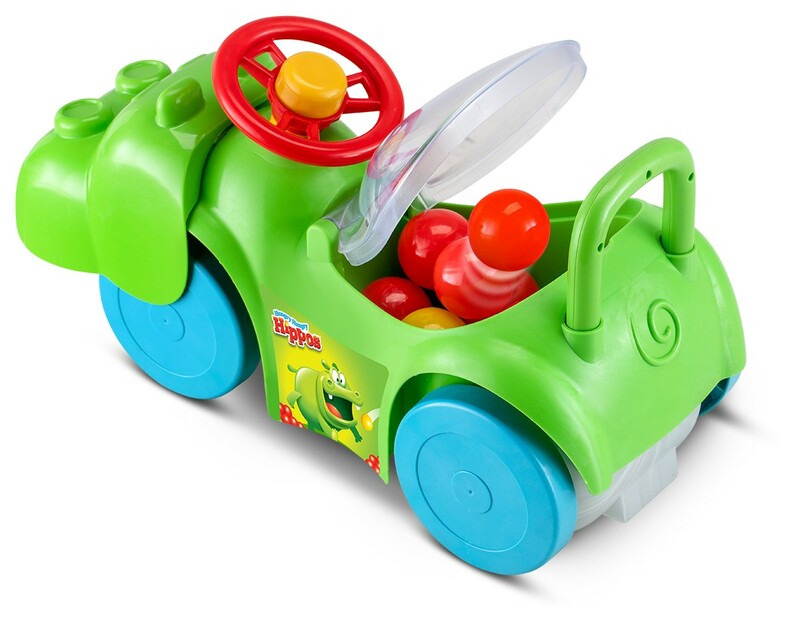 Themed after the original green Homer Hippo, this ride-on toy car brings the Hungry Hungry Hippos fun to life with real hippo chomping action. 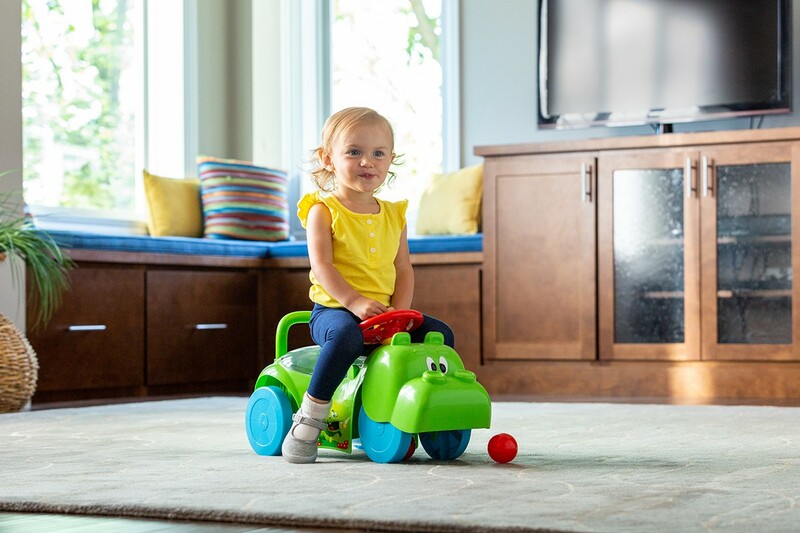 Kids can ride on or push along depending on their comfort level. 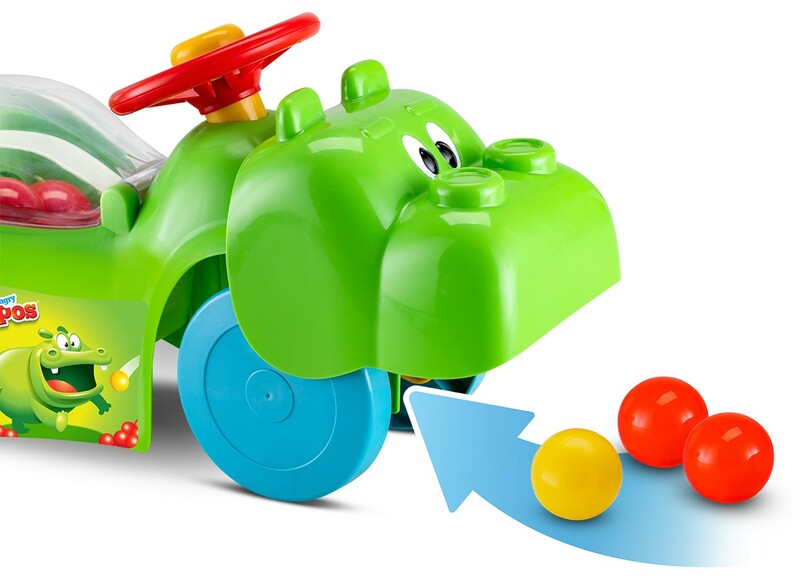 While moving, the hippo's head moves up and down and really "eats" up the (included) colorful play balls just like in the original game. Just roll over the balls to pick them up, then watch as they're stored in the transparent container in the seat. The balls fly around inside the seat as you move! 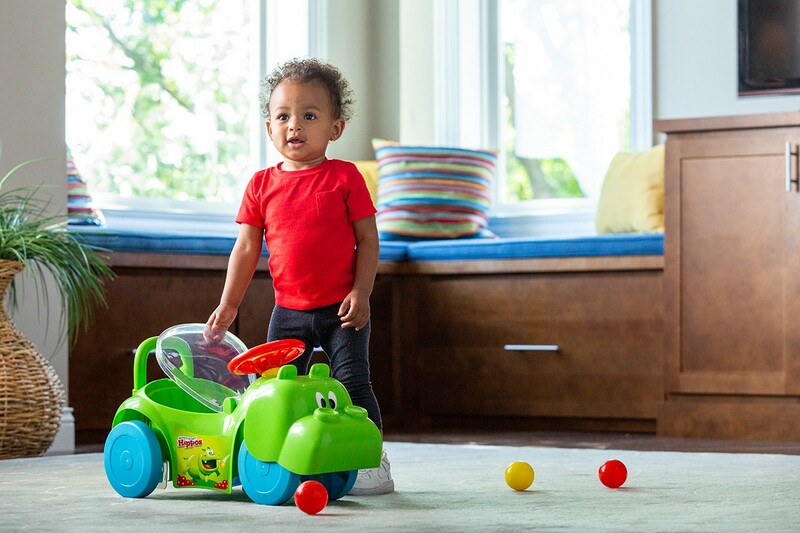 It's a sweet playtime feature that doubles as a great way to store and never have to pick up the toy balls after. Everyone wins! 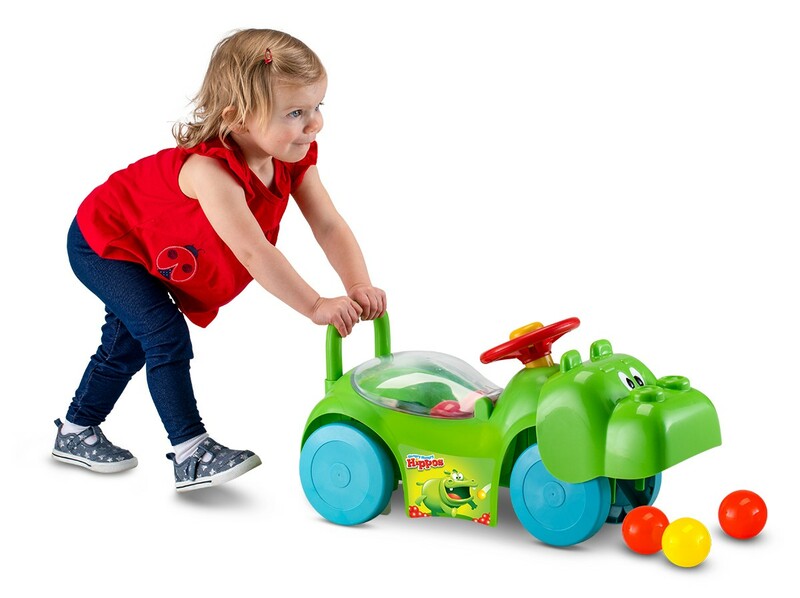 This cute foot-to-floor toy car is designed for children ages 1-3 with a 44-pound weight limit. Sits one rider. 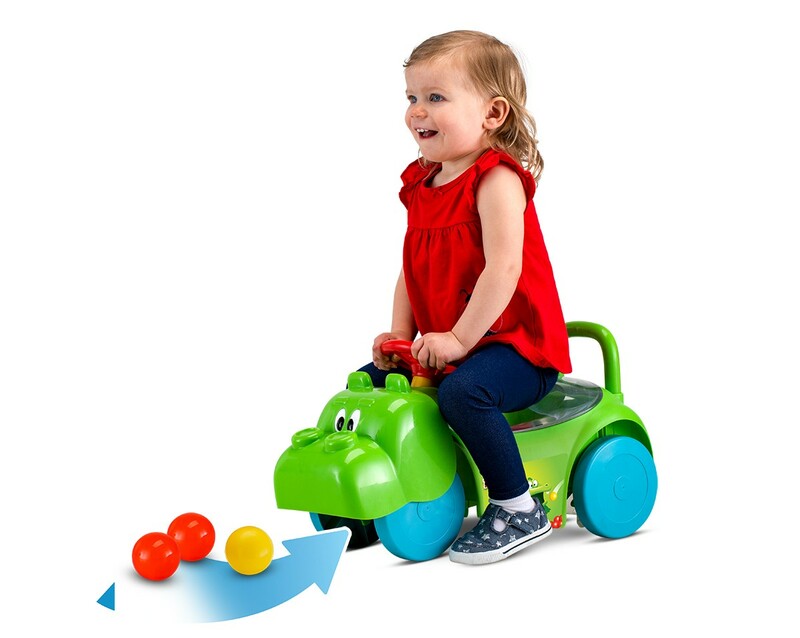 Feed your child's appetite for fun with the Hungry Hungry Hippos Activity ride-on toy from Kid Trax! HUNGRY HUNGRY HIPPOS is a trademark of Hasbro and is used with permission. © 2018 Hasbro. All Rights Reserved. Licensed by Hasbro. The classic childhood game is now a toy for pushing or riding around the house or yard. Features real Hungry Hungry Hippos chomping action - watch the head moves up and down as the toy is moved. Roll over the 7 included play balls to collect them in the under-seat compartment. Designed for children 1 - 3 years old. No assembly required. No batteries needed.